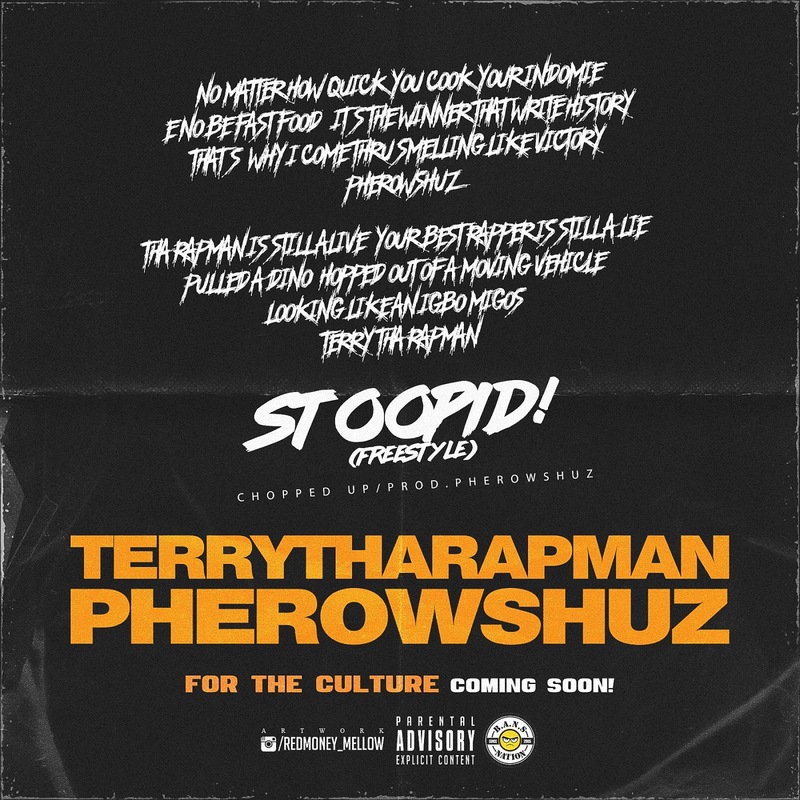 Nigerian MC's Terry Tha Rapman and Pherowshuz samples Jay Z's Blueprint 3 track "On To The Next One" for their latest freestyle. The track titled Stoopid! is set to appear on their upcoming joint project ''For The Culture" due sometime in the future. Press play on Stoopid! below.